My first mani using nail tape! 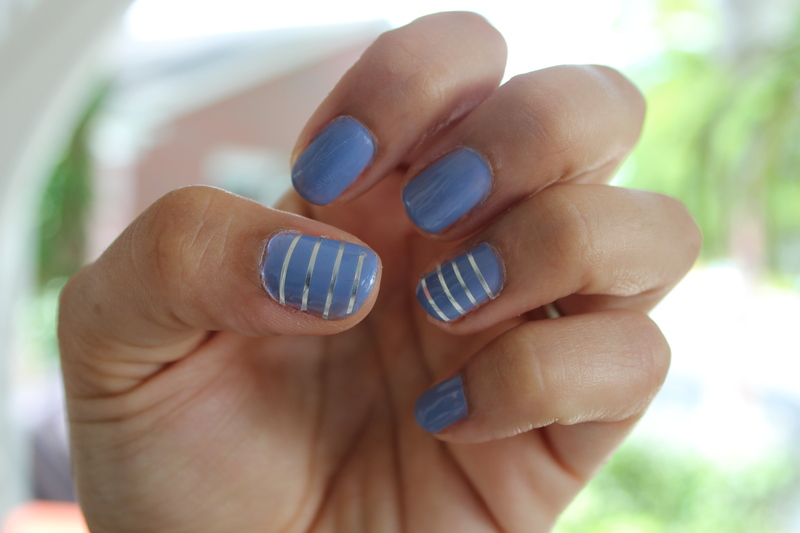 I kept it really simple, just using the tape to make horizontal stripes on my nails, but I really like how it turned out. After my base coat and two coats of color were dry, I cut strips of nail art tape (a little longer than the width of my nail), laid them on, and used cuticle nippers to cut them to size. What do you think? I love the nice clean lines that the nail tape provides. Any ideas about what else I can do with the tape? I’m eager to try out all sorts of stuff!